Description: Pedova Large Bound JournalBook. Features: Black elastic pen loop with blue and silver ribbon page markers, Includes 125 sheets of 100gsm lined paper. Colour: Black. Material: Italian Ultrahyde PU. Product Size: 248mm(h) x 180mm(w) x 25mm(d). Decoration: Pad Print, Screen Print, Emboss. Decoration Area: Emboss/Screen/Pad: 110mm(w) x 200mm(h). Pen not included. Soft Koeskin PU, Double sided inside divider, Removable tablet/ipad holder Multiple inside pockets, Smart phone holder, Elastic USB holders, Pen loops Lined pad, Full zipped closure. Size: 240 x 330mm Colour: Black. Decoration Option: Screen Print. Decoration Area: 150 x 250mm. 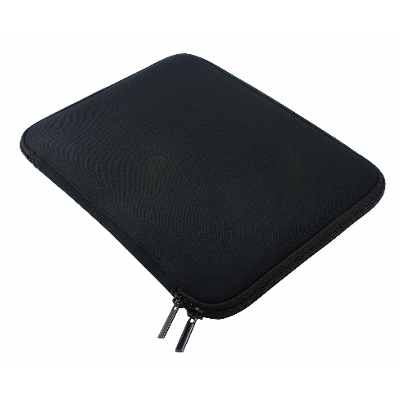 Made with 100% neoprene 30mm thickness, lightweight and water resistant sleeve, full opening with zip closure. Holds a 10 inch tablet or laptop. Size: 260 x 200 x 15mm Colour: Black. Decoration Option: Screen Print | Transfer Print. Decoration Area: 220 x 150mm. 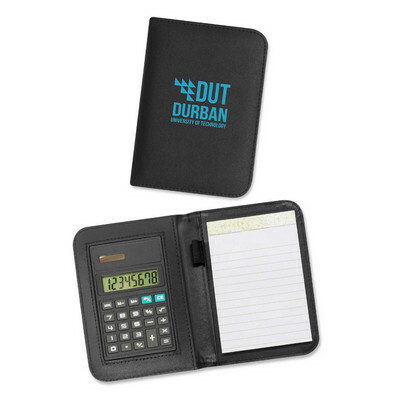 Soft Koeskin PU, Double sided inside divider, Removable tablet/ipad holder 250 x 190mm Multiple inside pockets, Smart phone holder, Elastic USB holders, Pen loops Lined pad, Full zipped closure. Size: 240 x 285mm Colour: Black. Decoration Option: Screen Print. Decoration Area: 120 x 120mm. Description: A4 zippered compendium. Features: Includes internal and zippered pocked, pen loop, business card holder and ID pocket, Metal zip pullers and 25 page lined pad which inserts from the top, Fits an iPad in the left side pocket. Packaging: Polybag. Colour: Black with Grey trim. Material: Microfibre with PU colour corner Decoration: Pad, Screen Print. Decoration Area: Screen: 150mm(w) x 150mm(h). Pen not included.